Call of Duty: Modern Warfare 2 - Uncut - PS3 Kaufen! Internationale Versandkosten: Der Versand erfolgt unversichert. Auf Wunsch kann ich auch versichert verschicken, die Mehrkosten müsste ich dann ermitteln. Bei unversichertem Versand trägt der Käufer das Risiko. 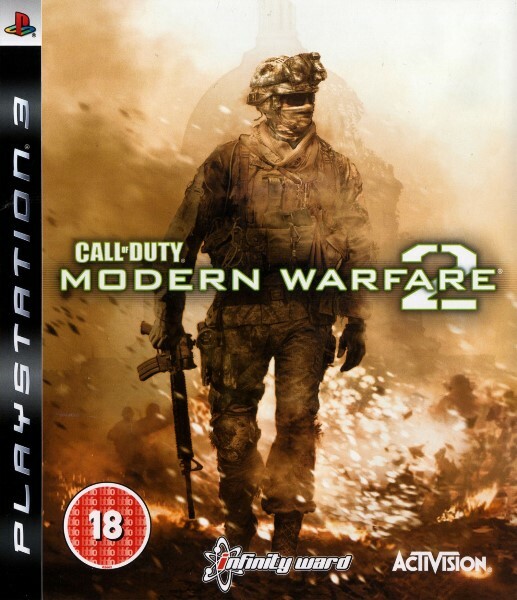 Englische Sprachausgabe: Delivering an epic campaign, Modern Warfare 2 on PlayStation 3 will see players once again wielding the latest firepower in both singleplayer and multiplayer modes set in the mayhem of Modern Warfare. The graphics are stunning and the attention to detail is awesome, for example when you’re climbing up a sheer ice cliff, high above an icy ravine, tiny cracks appear with every second you’re hanging from your ice pick - you can almost feel the danger in your living room!